Seven years ago, this wall held a banner advertising some Lutheran preacher from Minnesota, USA. 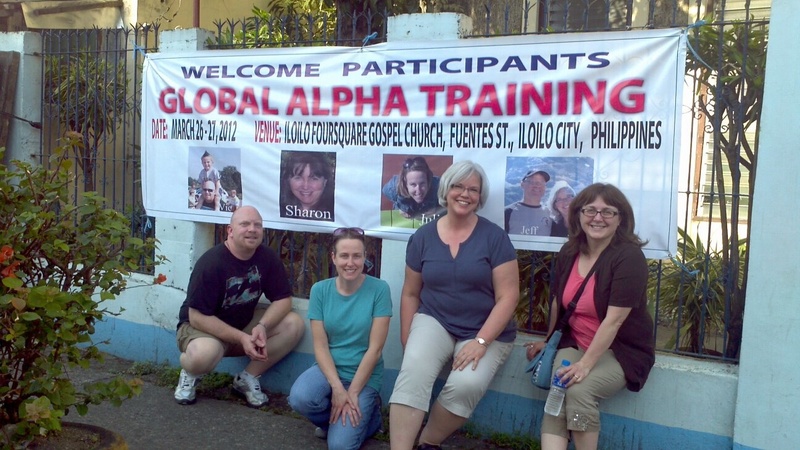 Today, four team members from Central Lutheran are here to share the powerful gift God has given them in the Alpha course. Pretty cool. P.S. 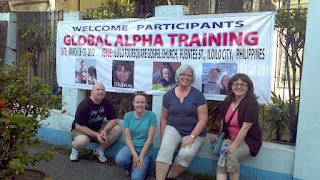 Somebody tell Hogan that he's famous, sitting there on his Dad's shoulders looking out on Fuentes Street in Iloilo! He's by far the cutest one on this poster -- and that's saying something, because the rest of us are pretty cute, too!